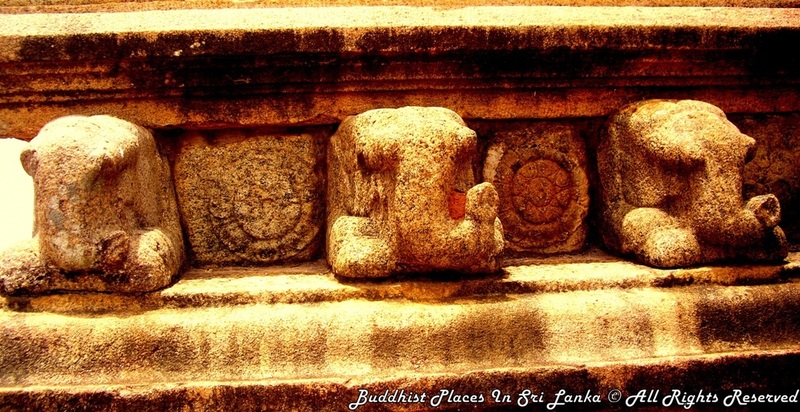 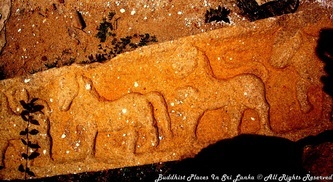 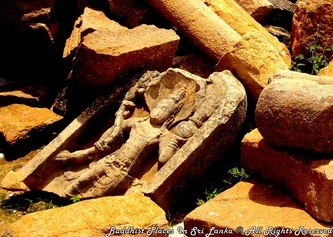 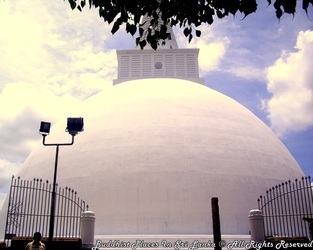 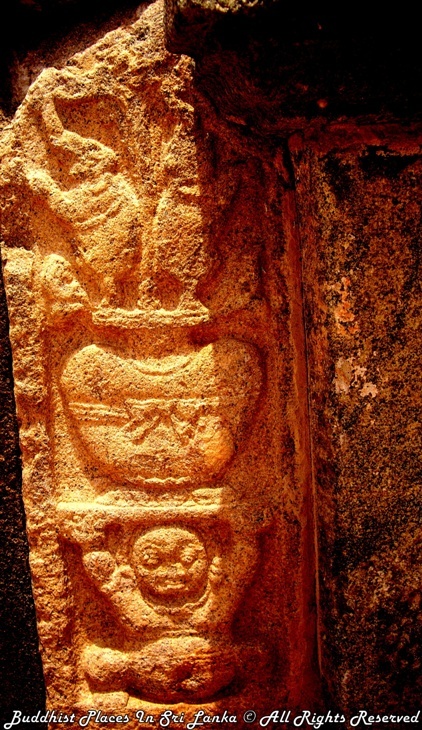 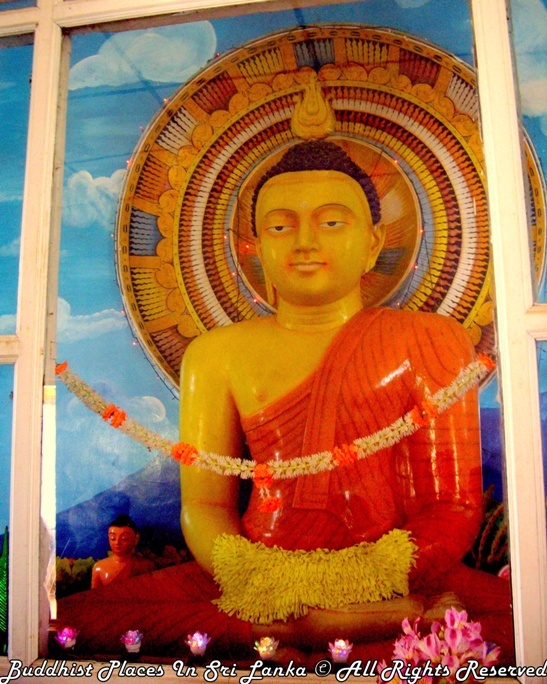 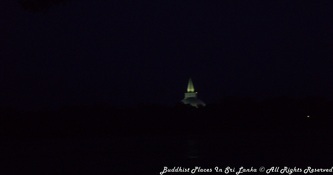 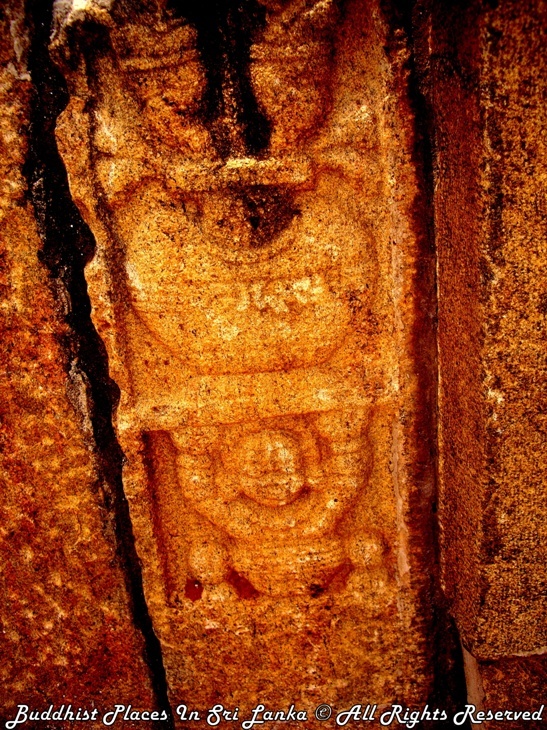 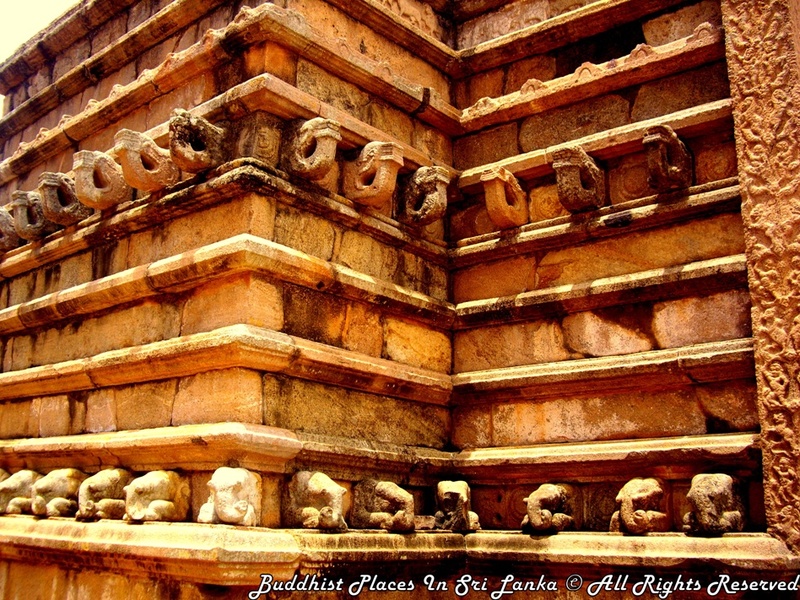 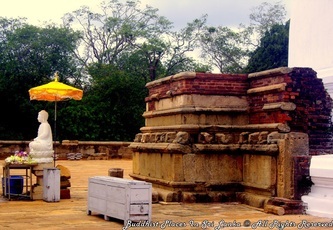 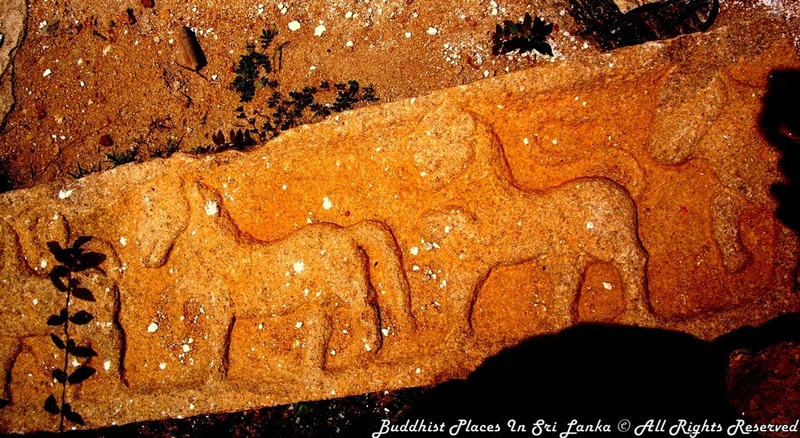 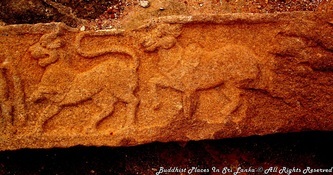 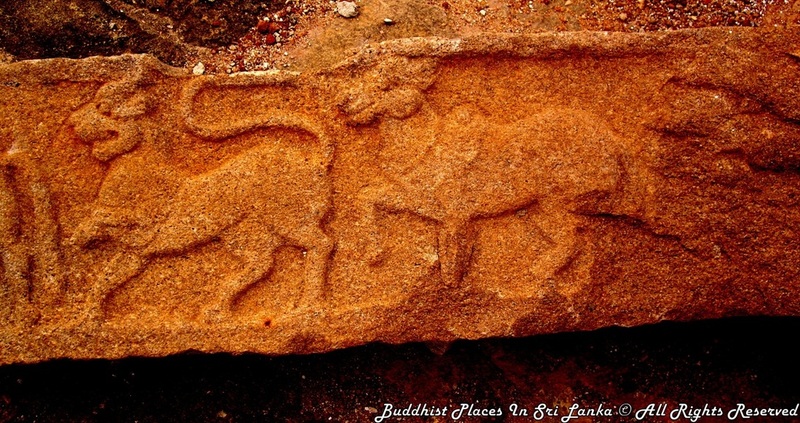 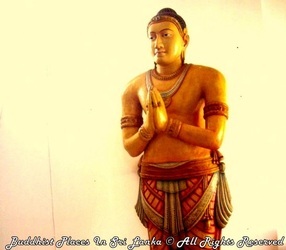 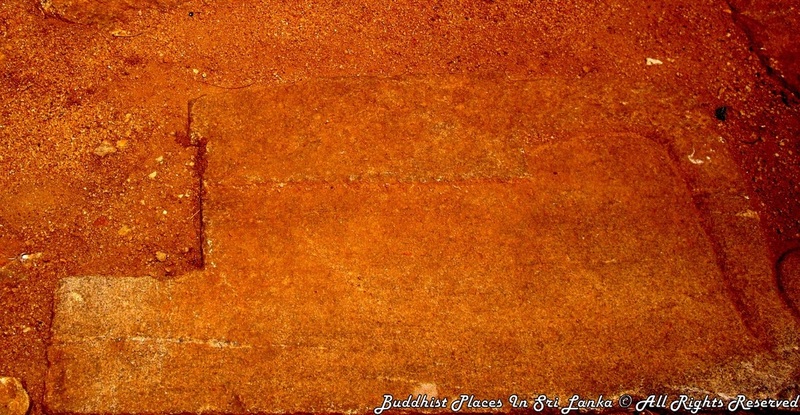 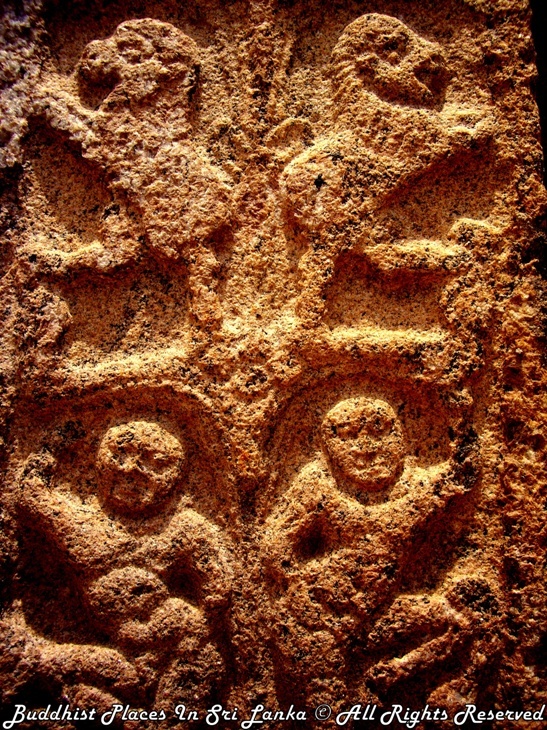 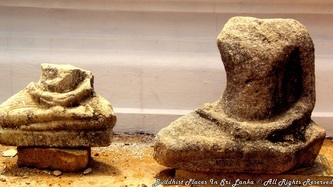 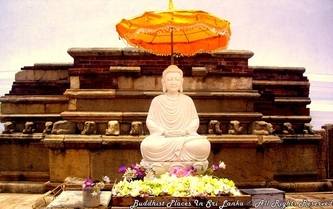 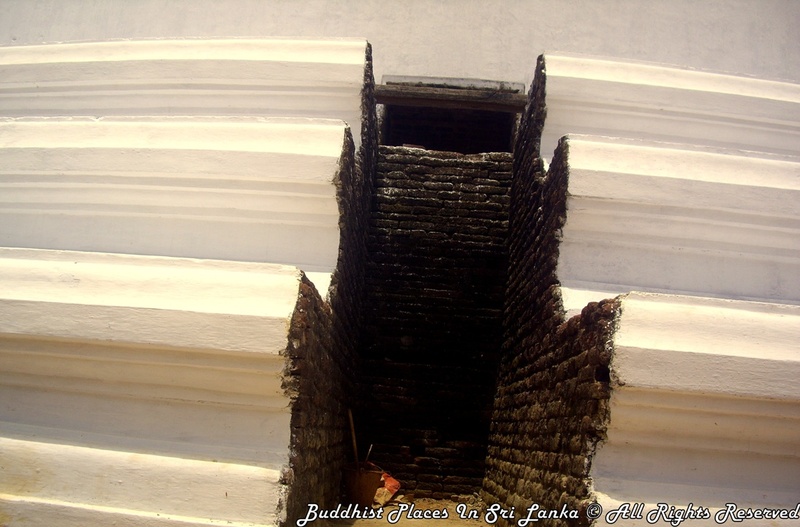 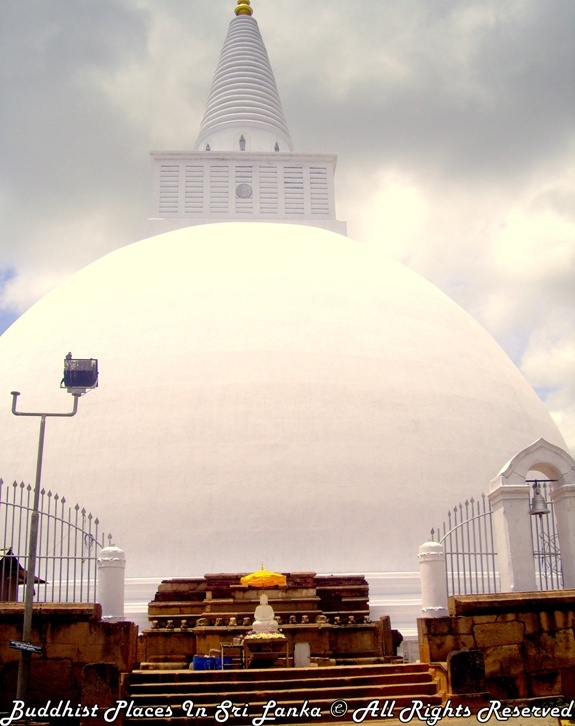 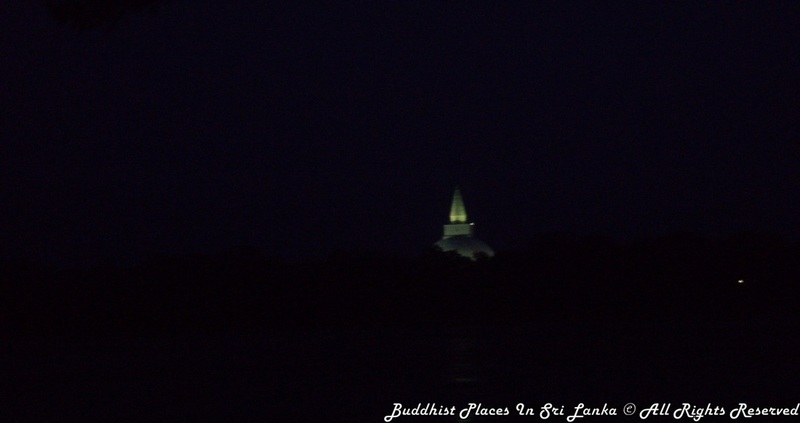 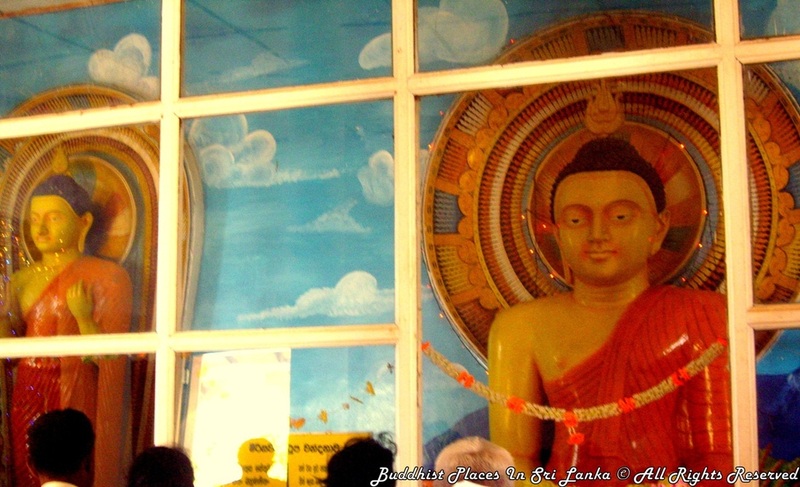 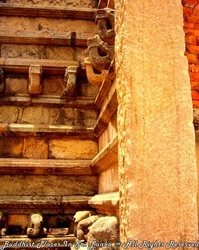 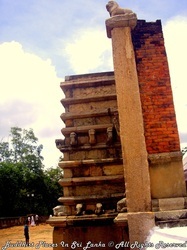 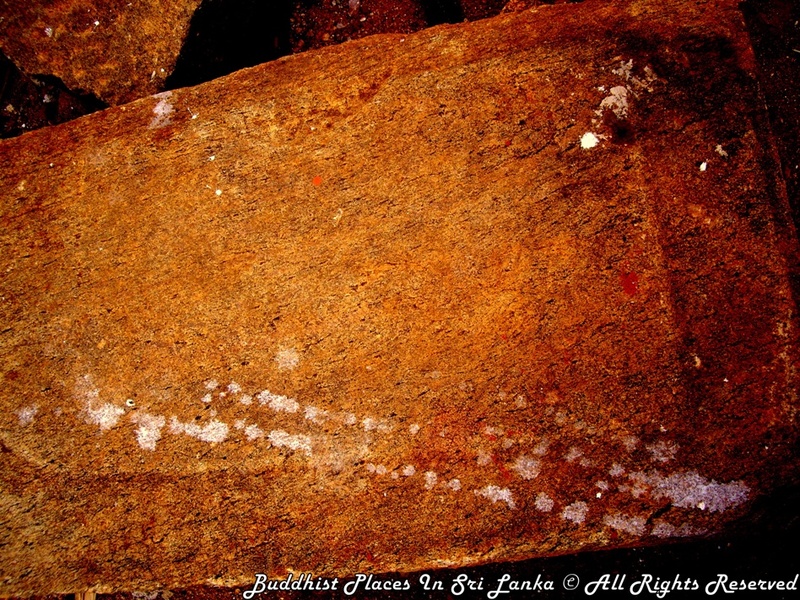 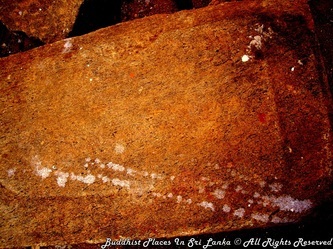 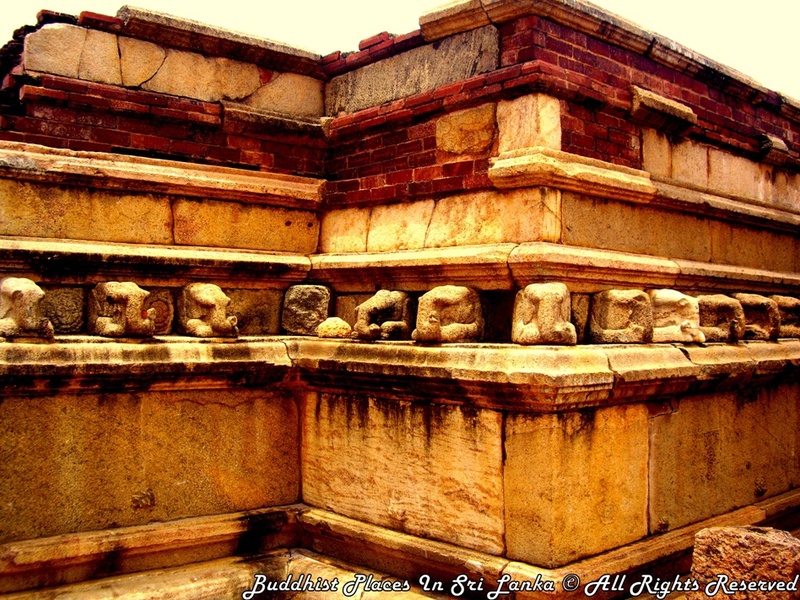 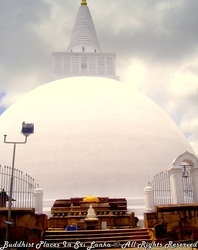 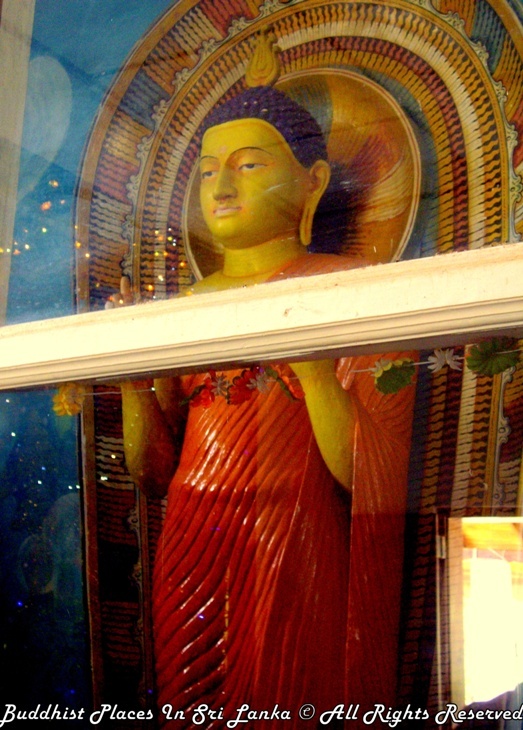 The Mirisaveti Stupa is situated in the ancient city of Anuradhapura. 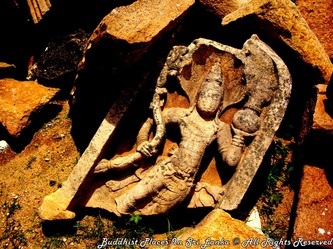 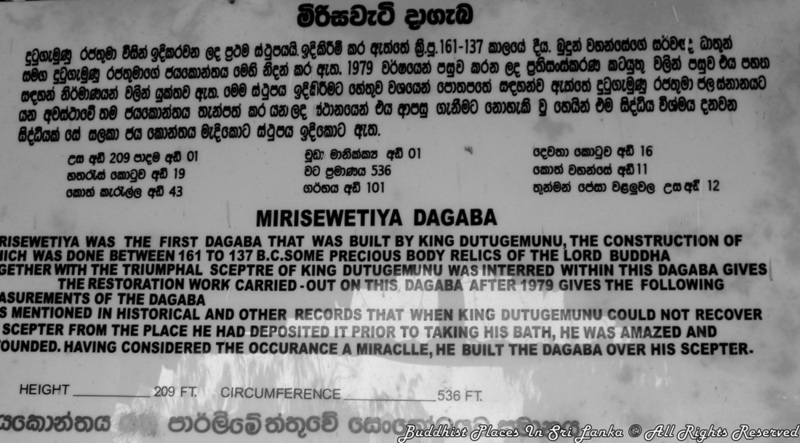 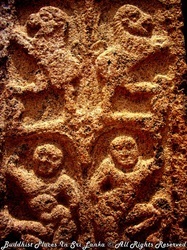 King Dutugamunu built the Mirisaveti Stupa after defeating King Elara. 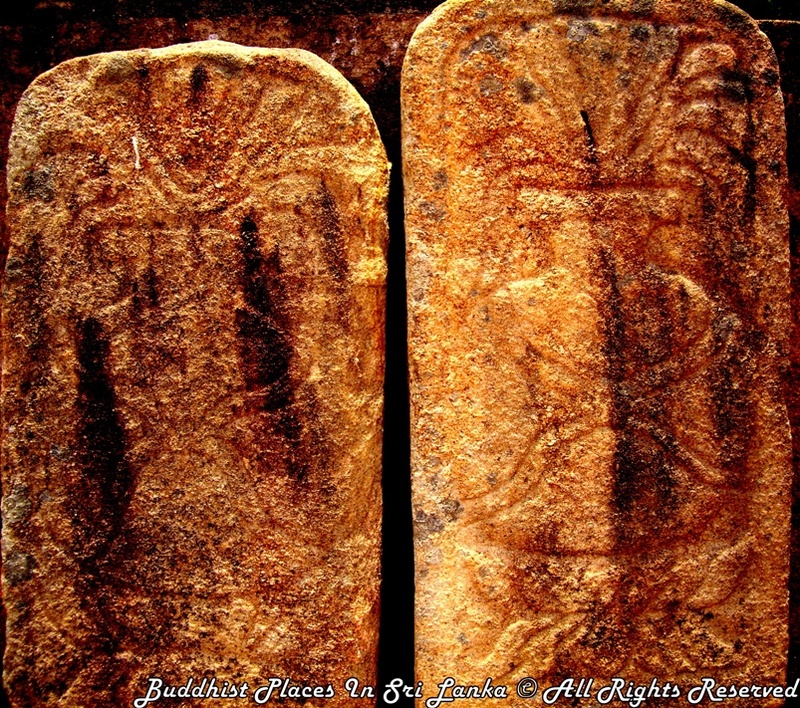 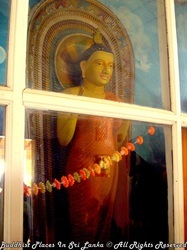 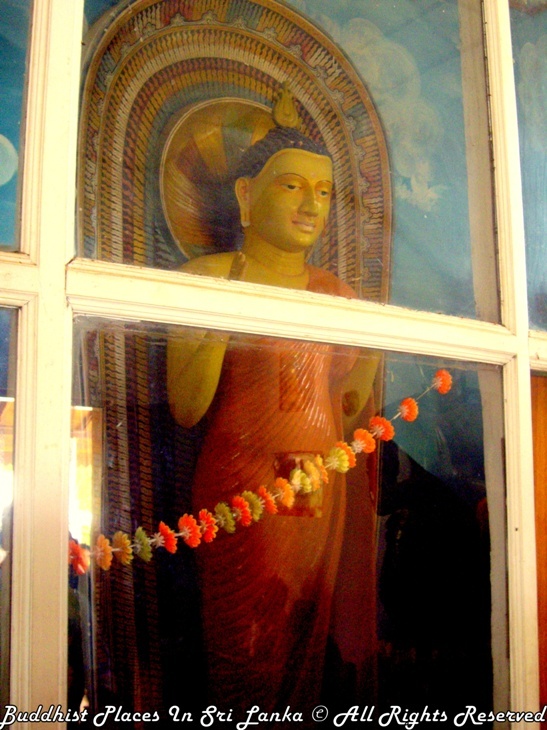 After placing the Buddha relics in the sceptre, he had gone to Tisawewa for a bath leaving the scepter. 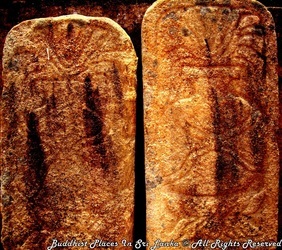 After the bath he returned to the place where the scepter was placed, and it is said that it could not be moved. The stupa was built in the place where the scepter stood. 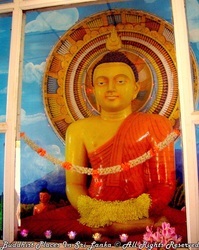 It is also said that he remembered that he partook a chilly curry without offering it to the sangha. 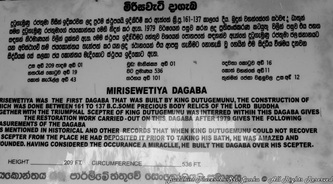 In order to punish himself he built the Mirisavetiya Dagaba. 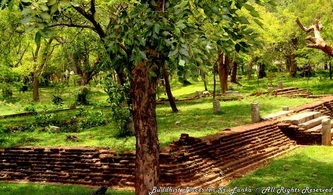 The extent of this land is about 50 acres (20 ha). 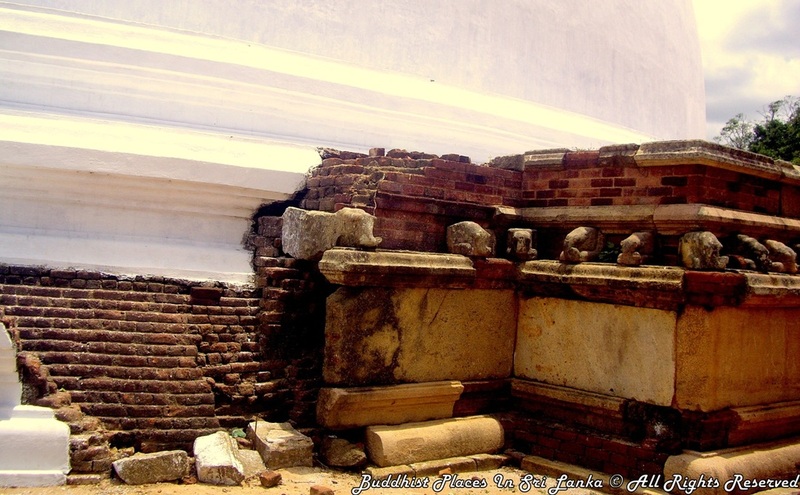 Although the king Kasyapa I and Kasyapa V renovated this, from time to time it was dilapidated. What stands today is the renovation done by the cultural Triangle Fund.